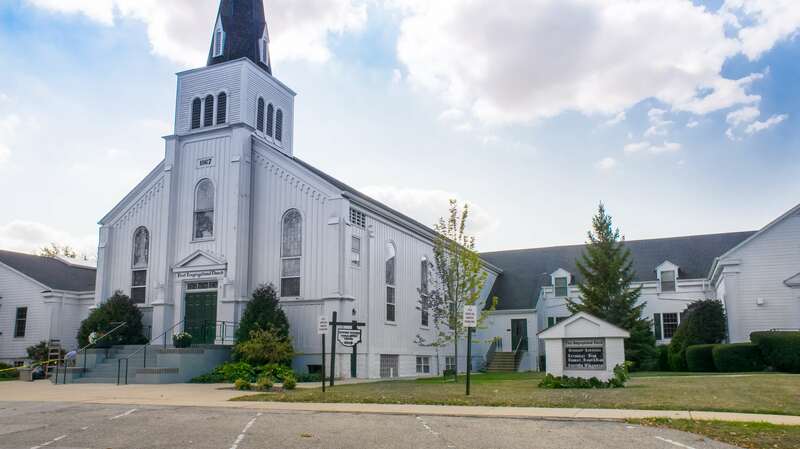 First Congregational Church of Crystal Lake is so appreciative of our relationship with Good Shepherd Hospital. They have provided programs to our Congregation that are a great help to our members as they make choices about their health. The programs are enjoyable and presented by professionals. We look forward to continuing to partner with Good Shepherd Hospital’s congregation outreach program. The following are just few of the innovative and creative ways to learn to live and maintain a healthy lifestyle. Medicinal Teas and Broths – a professional herbalist and organic gardener guided us as we made medicinal teas and broths. The program was presented in November and was perfect timing for the approaching cold and flu season. We had great fun learning about all the different medicinal purposes for the various teas and broths. Attendees left with recipes and ideas on how to stay healthy. Healthy Eating – The presenter came loaded down with supplies for twenty people to make salad dressing and pesto! We could taste different types of healthy salad dressings and then make our very own pesto! Also, a packet of recipes was provided to each of us. All the participants were so happy to leave with some great recipes and delicious pesto. Cardiac Bingo – Our Young at Heart Senior Group was blessed to have Good Shepherd Hospital’s nutritionist present using a game, Bingo to help increase our knowledge of the heart, how it works and nutrition information to help us learn to develop good eating habits. Prizes were awarded and we all learned something new about keeping our hearts healthy!